Windows provide some of the most under-utilised spaces in our homes. 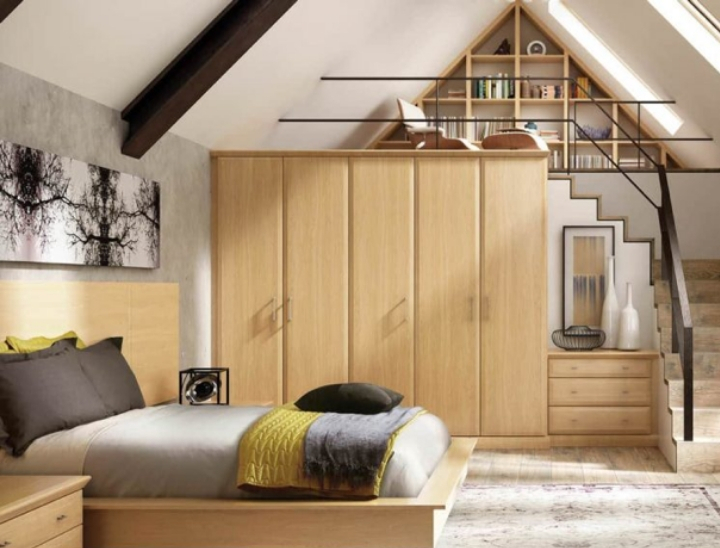 While it’s important to frame your windows for the best aesthetics, you can still make use of these areas to maximise your room’s storage. With thoughtfully configured fitted furniture designs, you can devise a look that flows seamlessly, all without compromising on the feeling of light and spaciousness that your window creates. Here are a few design ideas to help you discover a look you’ll love. A straightforward and stylish way to utilise your window space is with low level furniture. This can consist of a simple set of drawers, a shelving unit, or even a bespoke cabinet designed at the perfect height in which to arrange your stylish objects d’art. At Strachan, all our cupboard doors come with luxurious soft open and close as standard and are available in a variety of different looks and finishes to suit every home. Window seats are a great way to create additional space for tidying away handy items, and also provide a welcoming space to sit and relax. 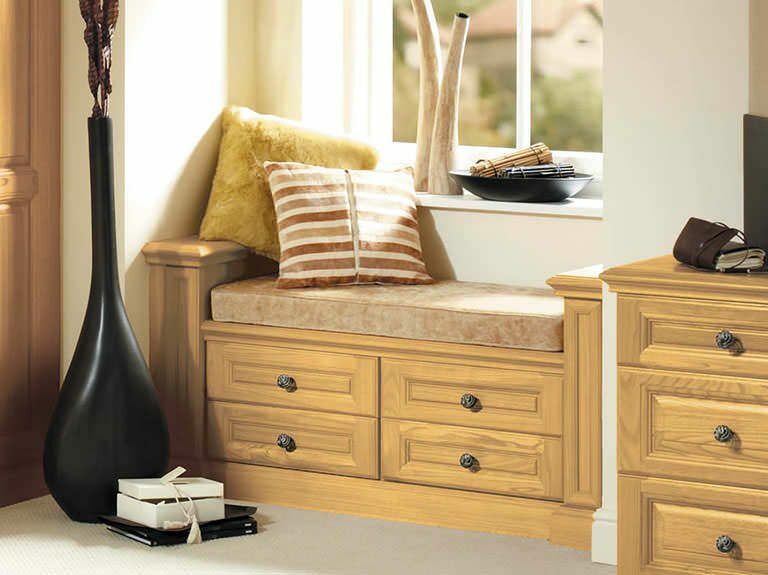 Shown here in matching real wood, this window seat features low level drawers framed by two feature pilasters either side and a seat cushion in co-ordinating fabric for greater comfort. Dressing tables are a fantastic way to add practicality to your furniture design, and when positioned in front of your window, you also benefit from the natural light. Combined with our mirrors, soft close storage and velvet lined jewellery drawers, they create the ideal space where you can enjoy getting ready every morning. 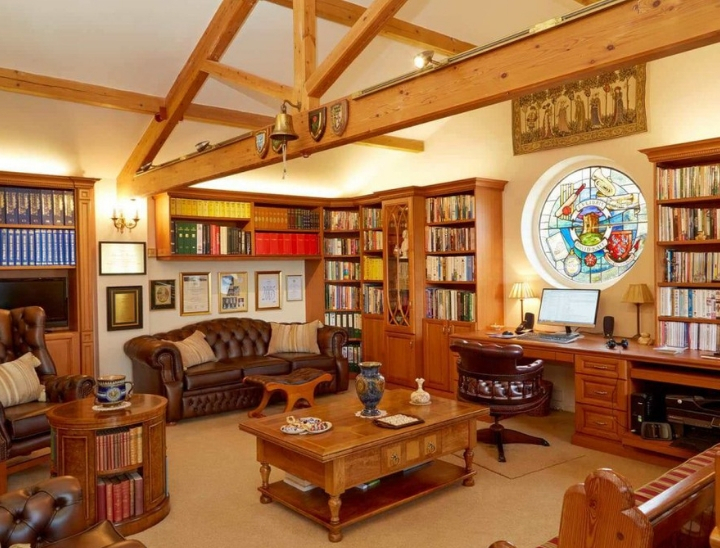 If your window is positioned in the corner of your room or spans across two walls, our expert designers can create an elegant corner arrangement that perfectly complements and utilises the space. Our bespoke designs are made to measure to precisely match your desired height and offer 90 degrees of full depth storage without compromising your style. Natural daylight not only makes your home office more attractive, but is known to actually help to improve your productivity as well. In rooms with Velux or roof windows, an ideal way to use the space under your window is with a bespoke work desk. 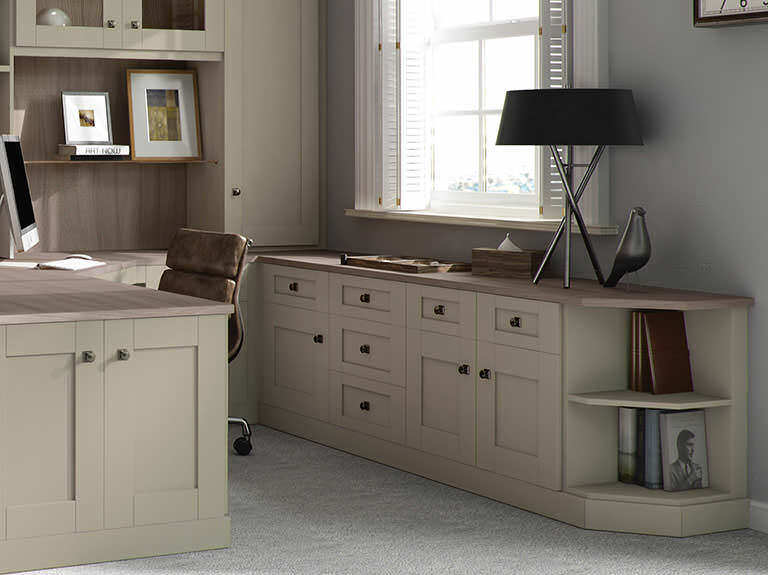 These can be made to measure to perfectly suit your room shape, along with unique office storage solutions that make working from home easier than ever. If radiators are positioned below your window, then Strachan can design stylish coverings to discreetly conceal them, meaning your fitted furniture aesthetic is left completely uninterrupted. Typically, our radiator covers have a framed lattice frontage to allow a consistent heat flow and are available in your choice of wood grain or painted finish. 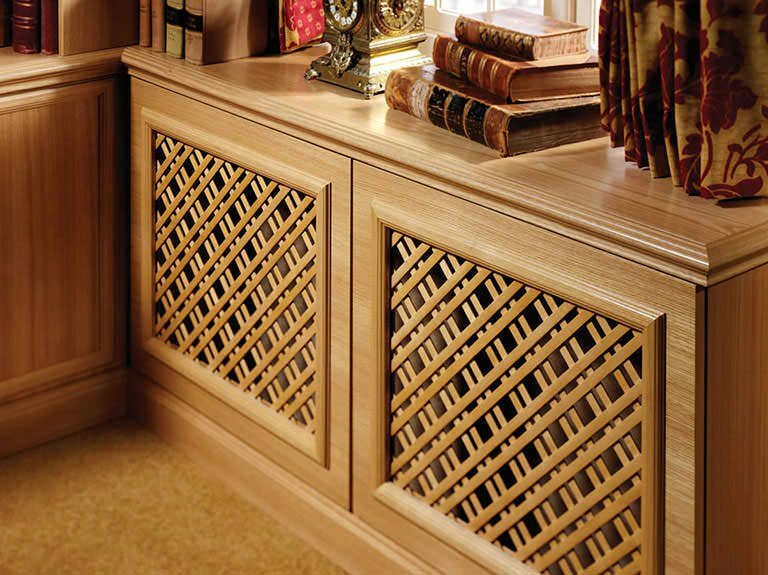 Bespoke radiator cover lattice solutions can also be provided. What is the Difference between Modern and Contemporary Design? 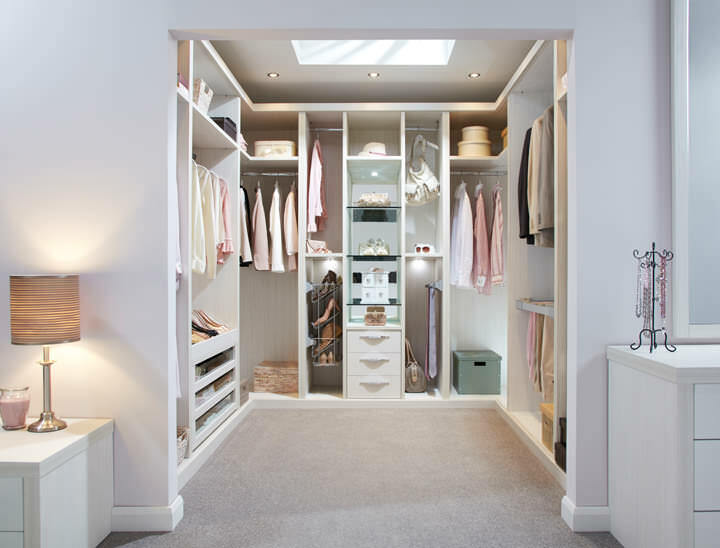 Walk in Wardrobes and Dressing Rooms: What’s the Difference?